When it comes to Windows 10, (or even Windows 8 or 8.1), there are two ways you can download applications. The first is to search for them online, download an EXE file, and install the Desktop app — and the other is to open up the Windows Store, find an app, and install the Store app. For most of Windows’ history, Desktop apps were the only option. That’s what most people are familiar with. But as Google and Apple’s closed app stores have become more popular, Microsoft has felt the pressure to do the same, giving us the Windows Store. The confusing part is that some apps have both Desktop and Store versions — so let’s take a look at some of the advantages and disadvantages of these two methods of getting apps. Why Is There Now a Windows Store? If you’re a long-time Windows user, you might be wondering why you even need an app store. Windows was getting along just fine without it, wasn’t it? 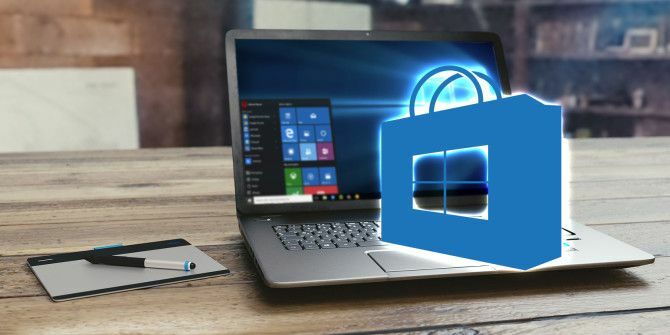 Windows is notorious for being plagued by viruses and malware The 8 Best Security Software for Windows 10 Malware Protection The 8 Best Security Software for Windows 10 Malware Protection Want to tighten security on your PC? It's a good idea, so take a look at these fantastic antivirus choices for Windows 10. Read More , and a large part of that is due to this method of app (or program, as they used to be called) installation. Basically, the problem is security. Apps that are downloaded from random websites can’t be vetted by Microsoft in any way. If you search online for a free word processor as an alternative to Microsoft Word Need a Microsoft Word & Office Alternative? Try FreeOffice 2016 Need a Microsoft Word & Office Alternative? Try FreeOffice 2016 Microsoft Office is the most advanced office suite on the planet. But why fork over cash when you can use a free alternative that still offers all you need? FreeOffice 2016 could be right for... Read More , and you find something that looks suitable, how do you know it’s not a virus? For larger companies with popular apps, this may not be as much of an issue (unless you get phished New Phishing Techniques To Be Aware of: Vishing and Smishing New Phishing Techniques To Be Aware of: Vishing and Smishing Vishing and smishing are dangerous new phishing variants. What should you be looking out for? How will you know a vishing or smishing attempt when it arrives? And are you likely to be a target? Read More ), but finding less popular apps could prove dangerous. 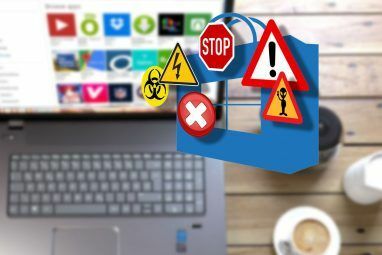 With the Windows Store, all apps go through a submission and review process, so Microsoft is able to weed out dangerous programs and ensure that only safe ones are making it onto your system. If you’re an Android user, the Windows Store is like the Play Store How to Download and Update Apps on Android Phones and Tablets How to Download and Update Apps on Android Phones and Tablets Wondering how to download apps on Android? Need to install an update for an Android app? Here are the basics of installing and updating Android apps. Read More , and installing EXE files is like sideloading APKs How to Sideload Any File onto Your Android Phone or Tablet How to Sideload Any File onto Your Android Phone or Tablet You may have come across the term "sideloading" before, but what does it mean? And how can you go about sideloading apps or files? Read More and allowing the installation of apps from unknown sources Is It Safe to Install Android Apps from Unknown Sources? Is It Safe to Install Android Apps from Unknown Sources? The Google Play Store isn't your only source of apps, but is it safe to search elsewhere? Read More . If you’re on an iPhone or iPad, then the Windows Store is like the App Store, but iOS doesn’t allow for installing outside apps. The most secure thing for everyone would be if Microsoft only allowed for the installation of Store apps, but the downside would be a significantly smaller app selection and a much more limited platform — so, thankfully, that won’t be happening anytime soon. Another downside to desktop apps is their ability to do anything. Desktop apps don’t have any sort of permission system and aren’t isolated from the system, aka sandboxed, in any way, so anything you install could potentially wreak havoc on your system, destroying personal files, transmitting data, or logging your keystrokes. Granted, most programs don’t do that, but they could. Store apps, on the other hand, have a very limited list of permissions that you can see before downloading. This is much like the permission system on Android What Are Android Permissions and Why Should You Care? What Are Android Permissions and Why Should You Care? Do you ever install Android apps without a second thought? Here's all you need to know on Android app permissions, how they've changed, and how it affects you. Read More (and sort of like the permission system on iOS How Bad Are Those Facebook Messenger Permissions Anyway? How Bad Are Those Facebook Messenger Permissions Anyway? You've probably been hearing a lot about Facebook's Messenger app. Let's quell the rumors and find out if the permissions are as bad as they claim. Read More ). This way, a simple calculator app can’t go recording your video or audio because it wouldn’t have the permission. On top of that, Store apps are sandboxed, meaning that they’re contained to a certain part of the operating system and can’t reach beyond that. Sandboxed apps are limited in the amount of damage they can do because they simply don’t have access to the vital parts of your system that non-sandboxed apps have. Which Is Better: Desktop or Store? Honestly, the answer to this question depends on your needs and preferences — and most people are going to use some of both. While Store apps used to be forced to run in full-screen, they now run in windows, just like Desktop apps. 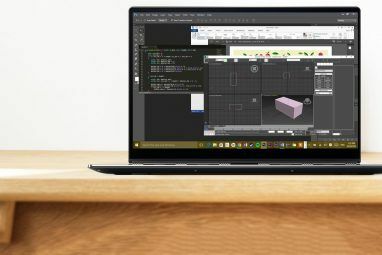 This means that the line between Desktop and Store apps is getting a little bit more blurred, but it’s still easy to tell the difference in everyday usage. For the most part, Desktop apps are going to be designed for a mouse-and-keyboard situation, while Store apps are designed for touch. That means that Desktop apps are going to have smaller, more cramped areas for buttons, and they won’t use swiping gestures. The flip side to this is that they will probably be able to pack in more features. Store apps are generally made for touch, so they’ll scroll horizontally with the flick of your finger, they’ll generally lack any right-click function, and their buttons will be large and spaced out. These differences are highlighted even within Microsoft’s own apps. Open up the Settings app on your Windows 10 computer, and you’ll be able to change a lot of settings with a nice, clean, modern interface. But, for some more complex settings, it will throw you back into the Desktop Control Panel Unlock Windows Potential: Control Panel Demystified Unlock Windows Potential: Control Panel Demystified If you want to be the master of your Windows experience, the Control Panel is where it's at. We untangle the complexity of this power tool. Read More interface. The only other small design difference you’ll notice is if you happen to spend any time in the Start Menu. Store apps can have Live Tiles, or at least fully-colored tiles How to Create Custom Start Menu Tiles in Windows 10 How to Create Custom Start Menu Tiles in Windows 10 Windows 10 is jam packed with customization options, but some features are neglected. Like the Start Menu. We will help you turn your plain Windows 10 Start Menu into a crisp and beautiful command console! Read More . Desktop apps are stuck with ugly small icons against a plain-colored square. It’s a small difference, but it’s one that seems intended to push you towards Store apps. For some apps, you’re not going to have a choice. Popular desktop applications like Adobe Photoshop, Calibre, and Steam don’t even come in Store versions. In this case, for power users or gamers, Desktop apps will be the way to go. On the other hand, if you’re using a small, light touch-device How Well Does Windows 10 Work on a Tiny Tablet? How Well Does Windows 10 Work on a Tiny Tablet? Windows 10 is taking the devices of disgruntled Windows 8 and curious Windows 7 users by storm. The PC experience is great, but how does it perform on small screens? Matthew tested Windows 10 on... Read More like a Surface tablet or an HP Envy 8 Note, the designed-for-touch apps of the Windows Store are going to be your friend. No one wants to try tapping on tiny made-for-Desktop buttons on an 8-inch tablet. What If an App Has Both Versions? In some cases, you’ll run into apps that have both a Desktop and a Store version, including VLC, Dropbox, or Plex. Which you prefer is honestly up to personal preferences, but you’ll find that most of the points listed above remain true. The Desktop version will likely have more features, but be more complicated to navigate, while the Store version will likely have a simpler interface but fewer features. Let’s take a look at VLC as an example. As you can see above, the Desktop version (left) has tiny buttons jammed into a thin bar along the bottom, while the Store version has large touch-friendly buttons across the interface. It should be noted also that Desktop VLC doesn’t scale properly to high-resolution displays, so the buttons display extra small on my screen — but that won’t be the case if you have a lower resolution display. The Desktop version does have much more in-depth options for subtitles, audio, and all sorts of other tools that the Store version simply doesn’t have. Honestly, for most users, the Store version will work just fine, but if you like getting into the nitty gritty of VLC 6 More VLC Media Player Features You Must Try 6 More VLC Media Player Features You Must Try VLC is a media player more powerful than you might realize. Are you using it to its full potential? Here are some pointers. Read More or other applications, you’ll need the Desktop version. Plex, likewise, runs into a similar simplicity-versus-features scenario. Dropbox behaves entirely like a mobile app in the Store version and only allows for legitimate syncing of files (rather than just manually uploading/downloading) if you have the Desktop version. A more common occurrence will likely be running into apps that already have a solid web version that you could be using instead, like Facebook, Messenger, Netflix, or Pandora. Again (shockingly), this will come down to personal preference. For instance, I like how the web version of Messenger collapses down the left column to just profile pictures, while the Store app insists on keeping a preview of each conversation in that column — so I stick with the web Messenger. However, because I have a touchscreen laptop, the Store version of Netflix (above left) is a good deal easier to navigate. I can just pin it to my taskbar, fire it up, swipe to the show I want, and start watching. I don’t have to bother opening Chrome, typing in Netflix, scrolling with the touchpad, and all that. Basically, if you’re torn between a particular Desktop or Store app, download both and give them a try. If you’re curious to see if a Store app is stronger than its web-based counterpart, it doesn’t hurt to download it. You never know which version you’ll end up liking better. Most likely, you’ll end up with a few of both. Just make sure you don’t accidentally download a dead or fake app from the Windows Store How Dead Apps Are Drowning the Windows Store How Dead Apps Are Drowning the Windows Store Dead apps are everywhere in the Windows Store. Why are apps abandoned, how does it affect users, and how could Microsoft solve this dilemma? We analyze the sad state of the Windows Store. Read More . Now we’re curious, which do you prefer? Do you download exclusively Desktop apps, or do you actually enjoy some Store apps? Let us know down in the comments! Explore more about: App, Windows Store. The New Microsoft Edge Insider Channels: All You Need to KnowIs a Windows 10 Pro Upgrade Worth $99? A good example of the difference between apps and programs (desktop) is not how cute the buttons are or how they respond to finger taps. It's fundamentally in the utility of programs (another old school name for Desktop Apps) which have vastly superior options. Apps do one thing usually. Programs can do many things. For instance, a simple browser - which does work on both app and desktop versions - can access many websites using a single app, the browser itself. The Browser allows you to access Amazon video, Netflix, and any other site you want all while using one app. Apps that are designed to access only ONE website or location, such as Netflix app or your bank app, can only access one location. And, that's usually how "apps" work. They are a very dumbed down version of a full program. The same thing is true for phone or Android games vs. Desktop Windows games. Power gamers use desktop games almost exclusively, because they give you a better ability to adjust everything you might want to adjust, offer greater depth (MUCH greater), and are more like living in virtual reality than a phone type game or desktop app game that is more 2 dimensional. The second annoying thing about apps is their look. They are big, clunky, and have much less information in a single window. I personally hate them. I refuse to work with them unless I have to. A good example is the network and internet app vs the desktop version, called Control Panel>Network Connections. The thing is,MS has integrated desktop and apptop into each other forcing you to use both. For instance, i can;t get a list of "known wifi connection" unless I use the app version, and I cannot make complex network changes unless I am in Network Connections program. Basically, MS Windows is a schizophrenic OS and doesn't know what it is, apptop or desktop. MS needs to retain all the old program features in Windows, and just use a simplified version with only apps, and then offer a simple way to turn it off or on. Fundamentally, apps are basic versions of how to interface with your computer or phone, tab, whatever; whereas programs (desktop) are much more robust and thus offer many more ways to tweak the program itself, and in many cases, do more than one or two things. Microsoft seems to have become the ultimate follower instead of the leader that made them the largest software company in the world. Instead of trying to be "me three" with Apple and Google, I wish that they would focus on Windows, Office and third-party desktop apps and help third-party desktop app developers create mobile extensions of their Windows desktop and web-based apps to provide complete, integrated solutions for business. Being deluged with one-trick mobile apps that don't integrate with common business applications is frustrating for the users, IT and management. I have a 17" laptop. I do not own a mobile device. I prefer the Desktop apps. Store apps often look funny and don't have access to functions I need. Thank you for the explanation that Store apps are designed for mobile devices. That makes my frustration with them understandable. You didn't mention how frustrating it is downloading from the Windows store. Progress is super slow compared to direct .exe downloads, to the point where I avoid that Windows store as far as possible. Others have had the same problem, so it's not unique. Why waste time with a setup that is so clunky and far behind Google, Apple, etc, when you can just use direct downloads? It's April 2018 and Windows 10 is much improved. The Store isn't. Things aren't much better than 2015 and now MS forces you to get a MS ID to use the store. Time to get a throwaway email address and figure out how to block the apps reporting back to Microsoft. MS is becoming as untrustworthy and invasive as Apple or Google. I use Linux on all my PCs except my hybrids where Linux doesn't have a release that works. Desktop apps are stuck with ugly small icons against a plain-colored square? WRONG. You can adjust the icons to 128X128 and and make every pixel a different color if you wish. In fact the article just below this comment is: 3 Great Ways to Customize Desktop Icons on Windows. I find the vast majority of Store app tiles to be UGLY, HUGE, clunky looking and you can't adjust the color. Being able to put a preview in them is sometimes useful I will admit. 8" HD tablets works fine with a desktop interface when using a stylus. The vast majority of Store apps don't do enough to be useful. Even the calculators are useless. Want a good app? Be prepared to pay for it unlike a desktop app with the same or better functionality. The weather app is the only useful one I've found on the Store so far but I don't use social media. All my Windows machines have Classic Shell installed immediately so I have a useful start menu. Want the metro interface? Click, you've got it or simply launch any universal app you want from the desktop. Click on the desktop tile in the Metro interface and you're back to the desktop with the menu of whatever version of Windows you like. Surface Pros are fine for business where you can write off the cost. Not a good value for home users. PotPlayer with LAV and a large button skin like Blackspace or Metro X for a media player works great on my Yoga 2 10" and Yoga 500 14" hybrids in Windows 8.1 and 10 and MX Player is my choice in AMIDuos Android on the same machines. Touch screen Android and desktop Windows equals the best of both worlds. Yes that is a valid email address. I tried to use the windows app. Some of those apps are so terrible I just ended up using the web version. (outlook mail for example). The designs are really ugly for starters and one day the actual store app just wouldn't open anymore. I thought it was a sign and never used it again. Microsoft did such a terrible job on that, no wonder it's dying. Recently the windows store apps have got a lot better than they used to be. I think Microsoft took the right direction introducing store but the only issue is the developer support. There are still lots of desktop apps that don't have the windows store version, let alone the windows store apps that haven't been updated for a long time. 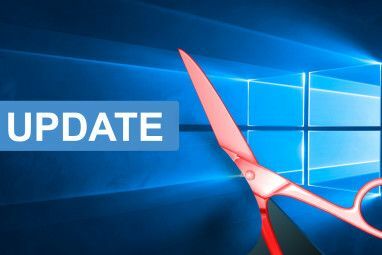 If the developers will increase their support for windows store apps it will help making windows a safer and better operating system than what it is now. The majority of software I use on my desktop are those I purchase and download from the developing company. In other words, desktop applications. I decided to try a couple of store apps on my new Windows 10 desktop. The problem I ran into is that when I did not like them and wanted to uninstall them, they wouldn't. First of all, they do not show up in programs and features. I did find out that when I right-clicked on the apps in the start menu, they offered an uninstall option. Only problem is the uninstall did not do anything. So how do you get these "apps" off your desktop? weird, it uninstalls fine for me. try finding them in the start menu under All Programs and uninstalling from there, maybe? Iobit Uninstaller was a godsent for this situation. If by chance you already uninstalled it, I recommend installing it again and then use Iobit to uninstall it. I can't recall the last time I used programs and features to remove things. Honestly the amount of remnants left behind by programs is a pain, and its pretty handy for those programs that just refuse to uninstall so you can force it to uninstall. Just grab it from its website. Best of luck! Thank you for your suggestion. I used to use Revo Uninstaller but forgot to install it on my new Windows 10 desktop. I think it is time to install it again. There are a lot of positives in concern to store apps, but personally I absolutely hate them. It's not just that they aren't mouse-friendly, it's also the fundamental shift from an open platform to a closed one. Bill Gates once said that the Microsoft strategy was to build a platform and let third parties develop for that platform. This meant Windows ran on every personal computer, and in turn provided a way for software to run on Windows. They didn't have an app store because they didn't want an app store; they wanted third party developers to define how that platform would look like. That's the fundamental difference, at least it had been, between Microsoft and Apple. Apple, who wanted to control exactly what their customers were able to have, had a rigorously controlled app store. They bundled most of their apps with the operating system so the amount of third part applications you downloaded were minimal. And then, of course, they locked their own OS to run on only their hardware, an antiqued tactic used in the early days of computing to sell hardware using software. Under the "new" Microsoft, we've seen a lot of really great changes; more focus on consumers, mobile, cloud, and innovative technologies like the Hololens. But we've also lost a lot of Microsoft from previous years when it embraced that open platform strategy. It's becoming painfully obvious that no one really wants Windows Phone, and that the "Universal Windows" framework is bloated, memory-hungry, and painfully flawed. Fewer developers are creating Windows Phone apps (which use the same framework), even canceling the ones they've already made. With so many people rolling back to Windows 7, Microsoft's got to do *something* to fix the problem. UWP is the solution to a problem that doesn't exist yet. With a little tweaking, Windows desktop apps *can* be made to run on XBox One, no matter how much Microsoft wants to push its UWP platform on *everybody*.